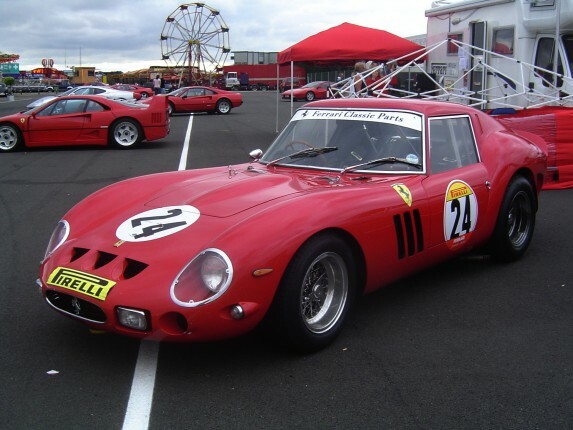 MGT Design are very pasionate about cars, especially the Ferrari Marquee. This blog is to congratulate Chris Smart for painting a Ferrari 250 GTO, one of which was recently sold at auction for reported £20.2 million ($32.1 million dollars) which makes it one of the most expensive cars ever sold. 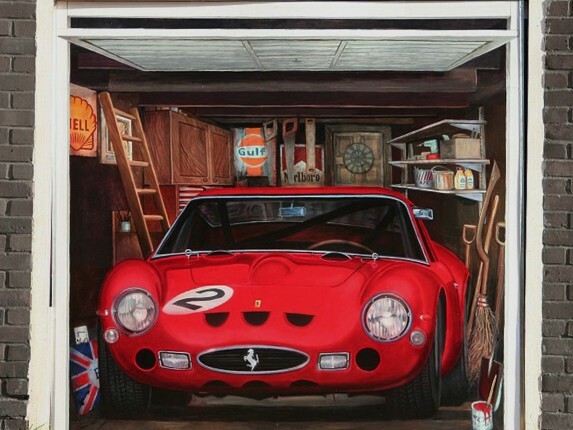 The 32 year old car enthusiast painted this rare car on his garage door using water resistant paints, giving the impression the garage door is open displaying the marvellous Ferrari 250 GTO. The garage is full of fantastic memorabilia such as the Gulf and BP signs, along side the Marlborough Tobacco advert, a long time sponsor of Ferrari. He has also included Harry Potters famous broom and a KFC Bargain bucket (product placement maybe?). This is a brilliant piece of art, it resembles a new genre of street art, legal street art as it was not done in a rush with fear of being caught as it was done on his own property and took two weeks to produce. I name this ‘street fine art’, as drivers by will slam on their brakes to take a look at this master piece and people have been known to stop and take pictures.